We believe that, and that's why we've designed Project Plan 365 to help marketing & sales professionals handle projects correctly; with features and functions that will help your team collaborate and stay on track, no matter what the goal. As a manager in a busy office, you need tools that track sales goals & quotas, organize and formalize sales plans, analyze project data and in general, keep track of your territories and teams working hard within them. So why not take this opportunity to handle Project Plan 365 for free, and see for yourself if our project management app is right for you and your sales force. As marketers and sales people, we very rarely work alone, if ever. When interacting with customers, we love social media for good reason - we are social beings, and contact makes perfect. 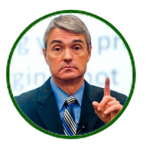 So why should your project planning tool be any different, and not provide a direct connection between you and your team? But we are not talking "likes" or chats. Those you don't need internally. What you do need within your team is direct input of work progress assigned - by the person doing the work! As a plan manager, that frees up your busy day and allows, for example, your sales agents to input their own numbers as they get them. In other words, why not let the numbers come to you! It's no harder than having your associates tap in project updates on a tablet. Set your plan to allow workers to update their %completes in real-time, and you will always have the numbers you need. Here in the Project Plan 365 house, we are big fans of using Agile methodology when trying to accomplish small sprints of effort, like bringing a new marketing tool to bear. You might be too, but those darn yellow stickies keep falling off the white board! Seriously, most project management apps on the market today come in two flavors: with Agile and without. 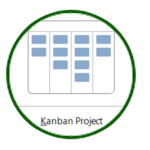 With Project Plan 365, you get Agile and Waterfall and a whole lot more. All without the headache of spreadsheets, formulas and macros (all doomed to fail). You just enter data and then use the results. Project Plan 365 is scalable as well, and can grow as you do - from one salesperson to a hundred or more, as we have individual, team and enterprise subscriptions that cover all your bases. Moe's Bagels of Boulder Colorado started out small, in a strip mall (next to the laundromat) on the edge of town. Within just a few short years, they had seven locations with each becoming a "hipster hangout" - even before the term hipster was hip. When asked about their success, this bagel couple gave "good marketing and a great product" as their secret recipe. This was back when social media was, at best, a newspaper advertisement. So they began a marketing campaign centered around "flower power" bumper stickers. Before long, every hippie van in this campus town sported one (or two, or five). 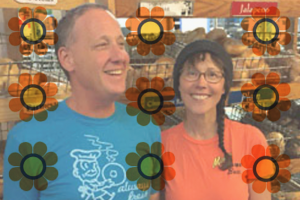 Soon, the roads were dotted with these happy flowers; and with word of mouth and word of automobile bumper they were soon baking 10,000 bagels a day AND opening up new locations left and right. But there were challenges along the way. Rapid expansion meant rapid training of employees, new production schedules and a plan to increase the variety of bagels from just a few, to dozens. That's were Project Plan 365 comes in - helping small business grow fast - by providing a planning tool that anyone can afford, and includes rTc (real-time collaboration), giving plan managers the power to set up plans so that employees can update their own status on any or all work accomplished. Great for businesses with one or two locations (and getting ready to add more). We salute you Patty and Moe - congrats!